When a condominium unit owner was faced with a persistent leak in her unit she sought the help of Attorney Lisa Bond. The unit at issue had a water leak that eventually caused mold and ultimately made the unit uninhabitable. The unit owner, at the insistence of the Condominium Association, replaced the windows, but the leak continued. The unit owner sought assistance from the Condominium Association to repair the leak to no avail. The unit owner was left with no choice but to commence an action against the Condominium Association for the damages suffered including the loss of rental income. After arguing the case at trial in front of a jury, Lisa Bond was able to convince the jury not only that the leak was the responsibility of the Condominium Association but also to award the unit owner the full amount of her damages which included the cost of repair and the loss of her rental income. 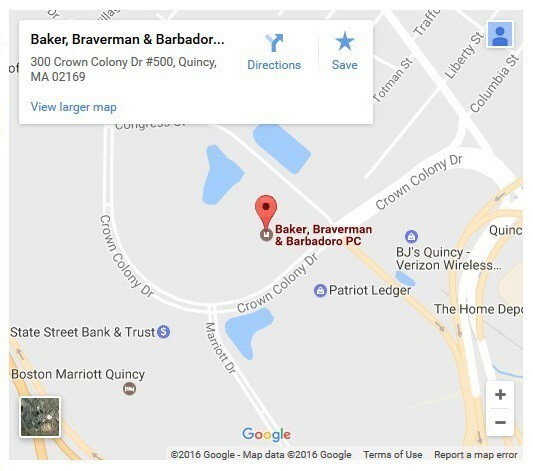 While it is typically in the best interests of a client to settle a case, when settlement negotiations break down, the clients at Baker, Braverman & Barbadoro, P.C. know that their attorneys are able to take their cases to the next level successfully.